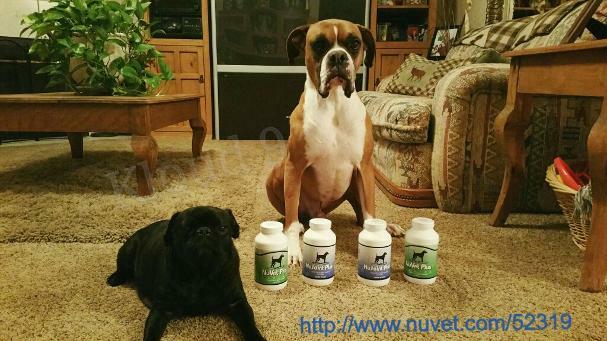 Read how NuVet boosts immunization in puppies. We love animals and we know you love them too! Unfortunately, the majority of dogs and cats are not receiving a complete, healthy diet and many become ill and die prematurely. 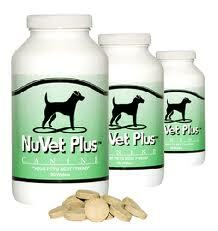 NuVet Labs™ main purpose is to help increase your pet’s longevity and quality of life. Our products, NuVet Plus™ for Canines and NuVet Plus™ for Felines, provide the very best human-grade, natural ingredients available and utilize the latest advances in medical, veterinary and nutritional science. We pledge to adhere to the highest standards in products and services. Our goal is to maintain a lasting and caring relationship with our family of NuVet Plus™ customers and their pets they love. Our scientists, veterinarians and formulators began with the premise that most pet diets are lacking the proper amounts of vitamins, minerals and antioxidants. There are important nutrients that animals once received when they were living in a more primitive environment that are not available in the modern diet. Commercial pet foods contain numerous by-products that can make them poisonous, toxic and incapable of reducing the devastating effects of unstable oxygen molecules, also known as “free radicals.” Free radicals have been implicated in more than fifty health problems in humans and animals including various forms of cancer, heart disease, arthritis, cataracts and premature aging. Dosage: 1 wafer per day for dogs 5 lbs and over. 1/2 wafer if under 5 lbs. NOTE: This product is Not available to the general public without an Order Code supplied by your Pet Professional. Not available in stores – CALL NOW TO ORDER! Insider’s Secret: Thousands of the nation’s top breeders use NuVet Plus® to keep their puppies, kittens, breeding females and males so healthy! MONEY BACK GUARANTEE – Call now to order this revolutionary product. If this isn’t the most incredible pet supplement you’ve ever had, we’ll give your money back! Helps Heal Current Problems – and Protects the Life and Health of Your Pet – Starting Today! After seeing the wonderful results on our retired older dogs, we did a little more research on it and decided to start using it for all our puppies for preventative care. Between the bloodlines we have chosen and the NuVet supplements we use on a daily basis, we are seeing remarkable joints in our dogs. Everyone knows that large breed dogs can be prone to joint issues so we feel preventative supplements are the best key to avoiding these potential complications. 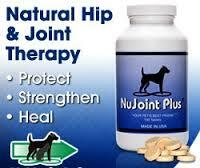 * Is a natural anti-inflammatory hip and joint therapy, formulated with the finest pharmaceutical, human grade ingredients.Major considerations in formulating NuJoint Plus™ were the pharmaceutical grade quality of ingredients and their healing values, as well as the bio digestibility and utilization into the cellular framework. NuJoint Plus™ has been formulated by leading Veterinarians and Scientist to contain precise percentages of Glucosamine, Chondroitin, Methylsulfonylmethane (MSM) and Vitamin C which will help to quickly and effectively reverse and heal the devastating effects of osteoarthritis.